Congratulations to this year’s coloring winners! MMCI Scholarship Applications are now being received. the Deadline for Submission is May 1, 2019. To find out more click here. We are pleased to share this article from the February 2019 MM Corresponder, by permission of Editor Gaylen Mohr. 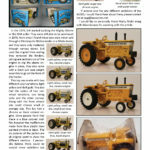 If you do not receive the Corresponder, you are missing out on a must-have magazine, “Dedicated to the Great Minneapolis-Moline Power Implement Company.” You can subscribe here. Hello Minneapolis Moline friends and family. 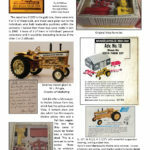 By this time all of the current members of the Minneapolis Moline Collectors Club should have their 2019 calendars, or be getting them soon. I hope everyone enjoys the mixture of the colored, black and white photos. We are always looking for older photos from the factories, dealerships, county or state fairs, or older family farm photos to put in the calendars. If you have some that you would to share with the club please feel free to contact me with the information. 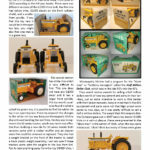 The MM Corresponder, minneapolismolinecollector.org website and the Minneapolis Moline Facebook are also looking for pictures of different things you are doing with your MM tractors or equipment. Feel free to share them, remember it is like show and tell. 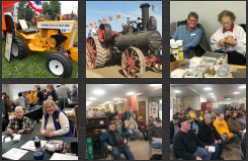 The Minneapolis Moline Board of Directors met in January and had their annual planning meeting in Charles City, Iowa at the Floyd County Museum. We had a very productive meeting: There will be a few changes with the Coloring Contest and the Scholarship projects. 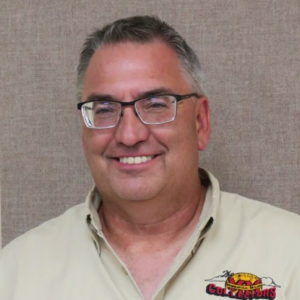 These changes will be explained on the minnespolismolinecollectors.org. I would like to thank all of the board members for attending along with Gaylen Mohr and Ruth Book, a few of these individuals came along way to attend the meeting. We will have two open positions on the board of directors: If you have ever thought about running or have any questions about being on the board of directors, please contact one of the current board members. We are more than willing to share what the duties a board member holds. The MMCI Winter Convention will be held March 21, 22 and 23, 2019 in Buffalo, Minnesota. Rich Otto has been diligently working on getting this show ready for us. With fingers crossed, Mother Nature will be nice to us, and we will have safe traveling weather. A wedding with a Moline makes a beautiful day . . .
Brittany Groskreutz and Richard Michels II were married September 22, 2018. 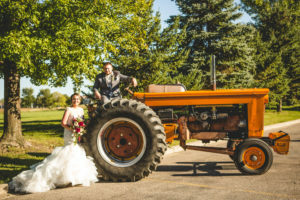 Parents of the couple Kimberly and Jay Groskreutz along with Cheryl and Kevin Michels Sr. celebrated the beautiful day. Brittany grew up in an avid Moline family where her great-grandfather Arthur, grandfather Eugene and father Jay all farmed with Molines. Richard proudly owns Molines, he uses his GVI for tractor pulling and his G1000 for farming.